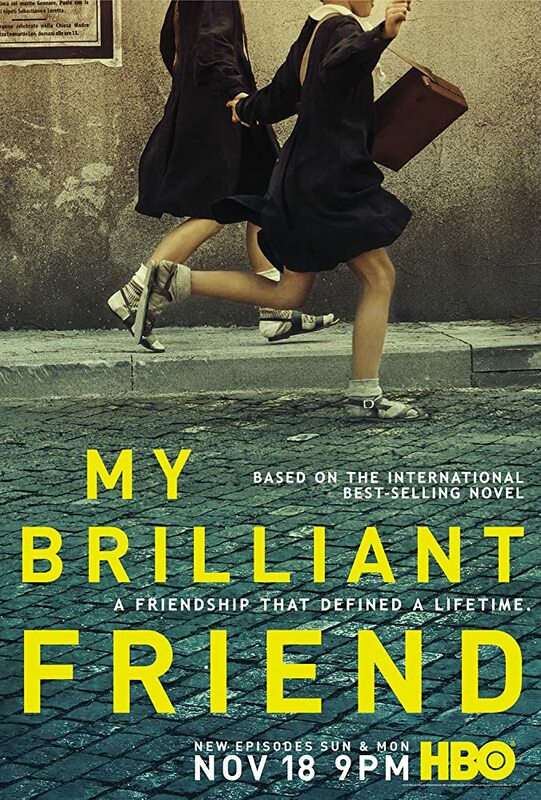 MY BRILLIANT FRIEND: Filmed in Italian, this eight-episode series is based on the bestselling book of the same name, the first of the quadrilogy by Elena Ferrante published in the US by Europa Editions. When the most important friend in her life seems to have disappeared without a trace, Elena Greco, a now-elderly woman immersed in a house full of books, turns on her computer and starts writing the story of their friendship. She met Raffaella Cerullo, whom she has always called Lila, in the first year of primary school in 1950. Set in a dangerous and fascinating Naples, their story covers more than 60 years of their lives as she tries to describe the mystery of Lila, Elena's brilliant friend and - in a way - her best friend, and her worst enemy. An HBO-RAI Fiction and TIMVISION series; a Wildside-Fandango Production; produced by Lorenzo Mieli and Mario Gianani for Wildside and by Domenico Procacci for Fandango, in collaboration with Rai Fiction, TIMVISION and HBO Entertainment and in co-productiuon with Umedia. All episodes directed by Saverio Costanzo; story and screenplays by Elena Ferrante, Francesco Piccolo, Laura Paolucci and Saverio Costanzo. Paolo Sorrentino and Jennifer Schuur are the executive producers. Debuts Nov. 18.